Professional dancer Alison Roper moments before she bursts onto stage for Swan Lake, presented by Oregon Ballet Theatre. 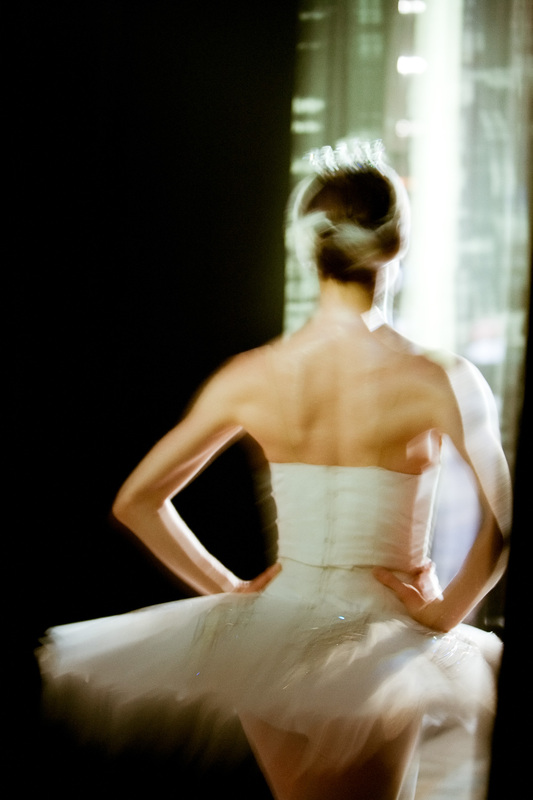 Professional photographer Andy Batt spent a year backstage during performances presented by Oregon Ballet Theatre. He captured moments of emotion, exhaustion, and pressure. The dancers are athletes as much as they are artists, and when backstage, they reveal unguarded moments, dramatic bursts of energy, and perfection.